An extremely rare historic German magazine about the XI Olympic Summer Games 1936 in Berlin. A special edition published by ‘Berliner Illustrirte’ (die grösste aktuelle Illustrierte der Welt / The world’s largest current magazine) in cooperation with the Olympic Committee. 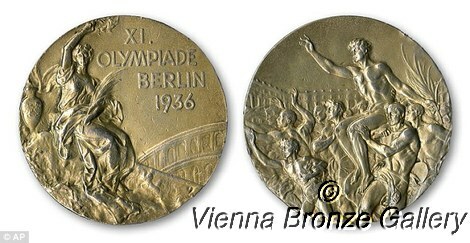 With tons of interesting photos, illustrations and caricatures, all Olympic medal winners from 1896 to 1932, information about the Olympic park and much, much more. We have added many photos to give you an idea about this rare find. Good considering the age. One loose page. Please do not forget that you are buying a used item that always may show some traces of wear!